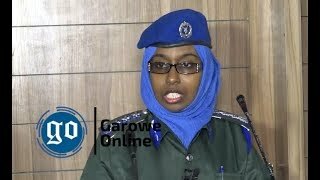 GAROWE, Puntland- Police of Somalia's northeastern semi-autonomous region of Puntland has re-arrested a dozen of youths released from Garowe central Prison on August 24th, Garowe Online reports. 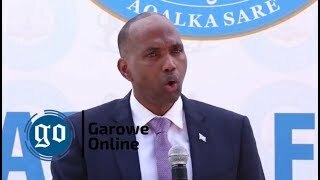 Speaking to the Media at his Office on Thursday, Garowe Police Commissioner, Mohamud Muse Bile alias (Fardaful) said they have detained again ex inmates numbering 12, including students studying in the local schools. 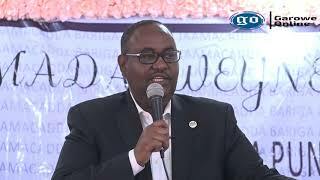 Fardaful, along with parents and Police officer during the Press conference said that the men had been arrested 21st August by General Mohiyadin Ahmed Muse, the chief of the state's counter-terrorism and narcotics after they were accused of robbery cases. 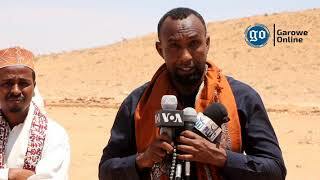 Continuing, he added Nugal regional Police Commander has ordered the immediate release of the suspects from the detention center after they were found no guilty, and subsequently they had been freed last week, 24th August. 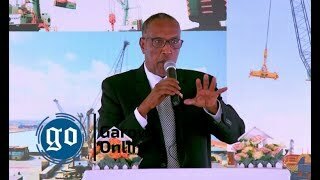 The release has sparked a bitter squabble which has led to the suspension of Puntland Police Commissioner, Abdulkadir Farah Shire (Ereg) by Vice and acting President, Abdihakim Abdullahi Omar (Amey), last Sunday. 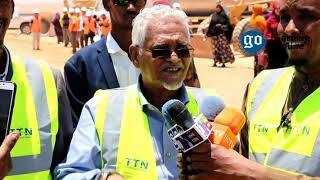 So far, the Anti-terrorism and narcotics commander did not comment on the charges against the re-arrested youths and the allegations that the illegal sale of the alcohol is on increase in the state capital, Garowe.